JUNEAU, February 14, 2017 – All SouthEast Alaska Regional Health Consortium (SEARHC) outpatient clinics and administrative offices will be closed on Thursday, February 16, to honor the achievements of Alaska Native civil rights leader Elizabeth Wanamaker Peratrovich. Mt. Edgecumbe Hospital and its emergency department will remain open. It was Peratrovich’s impassioned testimony before the Alaska Territorial Legislature in 1945 that led to the passage of an Anti-Discrimination Bill eliminating the blatant discrimination policies faced by Alaska Natives. On February 16, 1945, Territorial Governor Ernest Gruening signed the Act into law, marking the first anti-discrimination bill introduced and passed in Alaska. It was enacted nearly 20 years before the Civil Rights Act of 1964. Before the bill was passed, Alaska Natives were treated as second-class citizens, finding it difficult to obtain housing, regularly seeing signs banning Native entry to public facilities, and were subjected to many Alaska businesses unwilling to serve them. On February 6, 1988, the Alaska Legislature established February 16 as Elizabeth Peratrovich Day, using the anniversary date of the bill’s signing in 1945, to honor her "for her courageous, unceasing efforts to eliminate discrimination and bring about equal rights in Alaska." It is a day set aside so Alaskans can pause to remember the former Grand Camp President of the Alaska Native Sisterhood and honor her efforts to preserve equality and justice for all Alaskans regardless of race, creed, and ethnic background. Patients may call the Consortium’s After Hours Nurse Advice Line at 1-800-613-0560 to speak with a medical service representative or registered nurse if a health issue should arise when the clinics are closed. The SEARHC administrative offices and all of its clinics will be open on Friday, February 17. 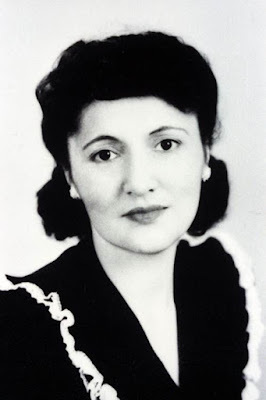 Elizabeth Peratrovich Day is a special day for SEARHC’s Alaska Native patients and staff. It is important that SEARHC honors her accomplishments and legacy. Share any stories or news to powreport@gmail.com!